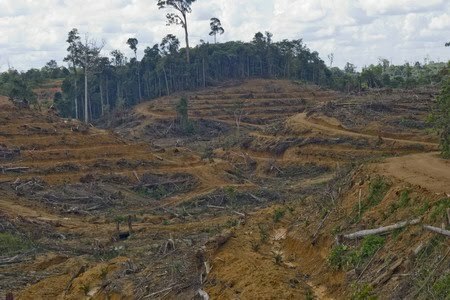 As we have highlighted in recent posts, Asia Pacific Resources International Limited (APRIL) is responsible for substantial deforestation in Indonesia, causing social conflict and greenhouse gas emissions. In partnership with BankTrack, our pulp finance working group has researched the main banks involved with APRIL and then systematically contacted them asking them to divest. You can read our research results on BankTrack’s blog here: http://blog.banktrack.org/?p=522. Some of the banks have assured us that they will have nothing to do with APRIL, and today we are very pleased by the announcement by Santander (see http://news.mongabay.com/2015/0224-banco-santander-april.html) that they will make a withdrawal from their association with APRIL unless the company stops deforesting. Santander has recently been the target of a Greenpeace campaign. This video shows why. We will continue to support our member organisations in their campaigning to ensure that banks have policies to avoid financing forest destruction, and to divest from the worst perpetrators, such as APRIL. Watch this space.